When we’re working on a change in our lives – a goal (large or small), our dreams – fitting those uber important things into our lives can seem daunting. We’re already working full time and trying to have a social life, family life, and healthy life. How do we work those things into our lives so we bring more joy and fulfillment in? 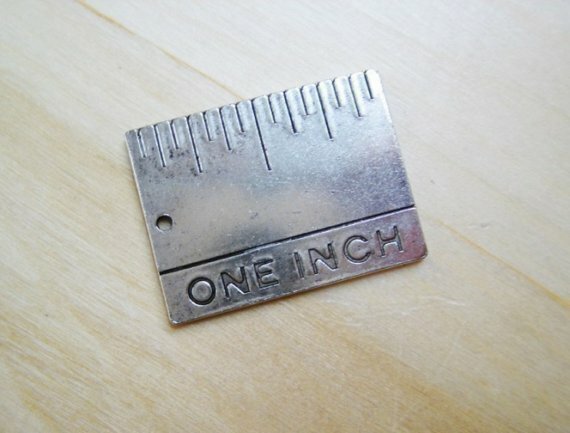 One inch every day. One inch towards that dream every day. One inch towards losing those extra pounds every day. One inch towards learning a new habit every day. If you choose an amount of time, set a timer. The amount of time isn’t really the point, the fact that you are doing the ‘thing’ is. One inch is a tiny, micro movement forward and those movements done daily propel you in the right direction. You just have to move one inch closer every single day towards the goal. We look at change and see this huge, insurmountable, gigantic mountain of change. If we can just move toward that end every single day, we can ensure success. Why? Stringing together an inch every day soon becomes a few inches, then a foot, then a couple feet, then a yard, then several yards, and then a mile. If you can move one inch, just an inch, every day, you are moving closer to your goal – to making that change you so desire. When a single step forward seems impossible, just move an inch every day. I’d love to hear how you can move one inch toward your goal every single day – leave your inch in the comments below. Loving this content? Sign up for updates – it’s FREE! Next Is It Really, Simply, A Matter of Motivation?